Jan Holloway is originally from Pulaski, a small town in upstate New York near Lake Ontario, and has been a lover of all animals since a very young age. Her true passion was horses though, which led her to earning her AAS in Equine Studies from Cazenovia College, NY before continuing her education, earning her BA in English, Creative Writing. After graduating in 1988, she moved to South Carolina to take a position as the Breeding Manager at a large Saddlebred horse farm outside of Columbia, SC. She later explored other career fields including Sales/Marketing and Print Media and Publishing. 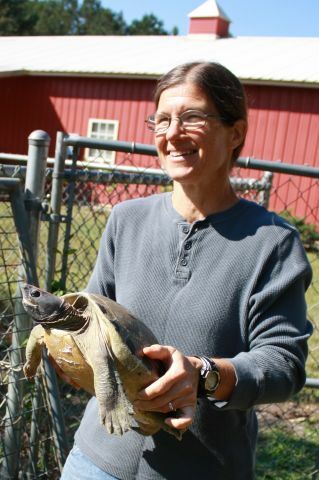 Most recently, before accepting her position as Administrative Coordinator at the Turtle Survival Alliance in December 2017, she was the Activity Coordinator at another local non-profit agency for nearly five years. She has always been a reptile enthusiast, and bearded dragons, aquatic turtles, and non-venomous snakes have been among her most recent pets. Jan also currently serves as the TSA Board Secretary. Jordan joined the TSA in February 2017 as the new Communications Coordinator. A native of Virginia, he has lived in numerous American states and abroad, all of which have provided various opportunities for him cultivate his passion for chelonians. Involvement with conservation and wildlife research began early for Jordan as he would regularly accompany his father into the woods to perform field research. While studying at Armstrong State University in Savannah, Georgia, Jordan cofounded the Terrapin Educational Research Program of Savannah (T.E.R.P.S). After graduation, he relocated to become an animal care and outreach technician for the Houston Zoo. 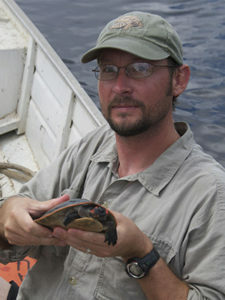 There he began working with the Turtle Survival Alliance through the North American Freshwater Turtle Research Group. 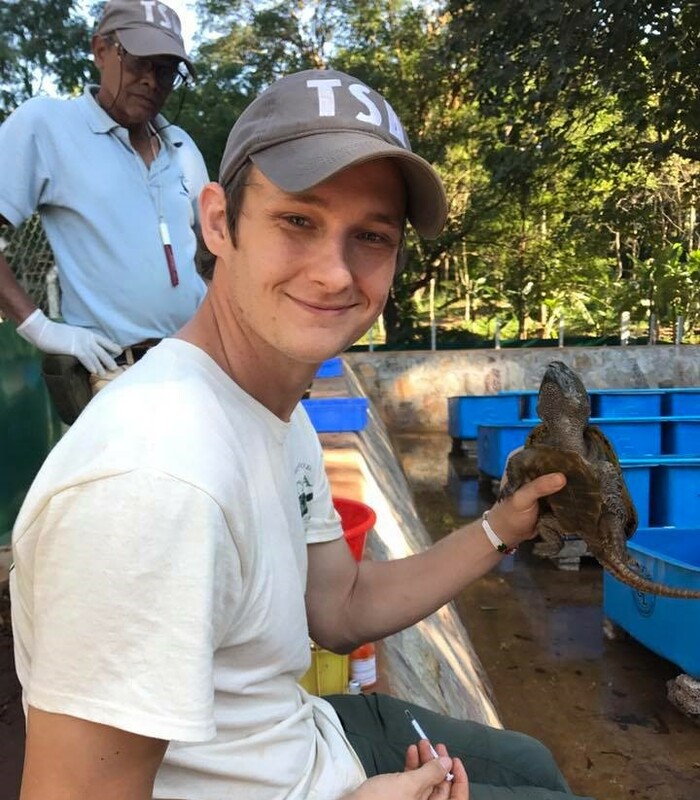 Ultimately, Jordan hopes to utilize his passion for educational outreach to foster an appreciation for turtles and tortoises as well as promote stewardship of their habitats. Emily Joined the TSA in September 2018 as Administrative Assistant. 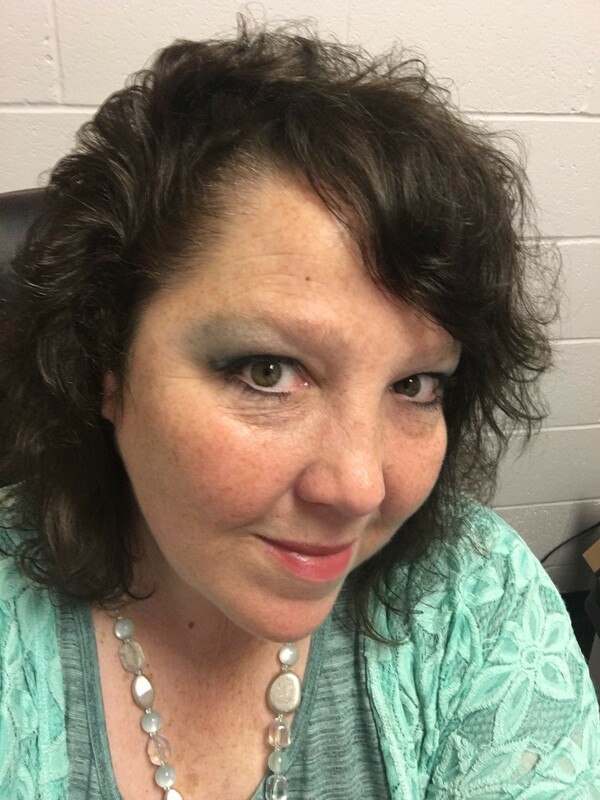 No stranger to the South Carolina Lowcountry, Emily has lived Charleston for the last ten years where she has worked as a Program and Administrative Assistant and Office Manager for various establishments. Prior to relocating to the Lowcountry, she has lived in numerous states and countries abroad, including England and Germany. A graduate of Dickinson College in Pennsylvania with a dual-degree in International Business and Management, and German Studies, she later obtained her Paralegal Degree here in Charleston. When she is not working toward our commitment of "zero turtle extinctions," Emily loves to travel, play tennis, and ride horses. Her diverse background and work experience has enabled her to quickly fill her role at the TSA. Carol was born with a love for animals and has always gravitated to the "underdogs." She was given her first pet turtle at age 7 and by age 9 she was training domestic animals, followed by exotics, and then working with wildlife. She worked for Dr. Seashole as a veterinary technician, followed by clinic manager, for more than 12 years. Carol even managed the former occupant of the grounds of the current Turtle Survival Center (TSC) when it was the Cross Wildlife Center. There she cared for and rehabilitated a menagerie of animal types and species. Due to her father having a construction company, Carol had a background in construction as well, so when Cross Wildlife Center closed, she did construction and electrical work for five years. During this time she also earned certificates in medical assisting, phlebotomy, and CPR. Carol started her tenure at the TSC as an especially enthusiastic volunteer, because she truly believes in our mission. 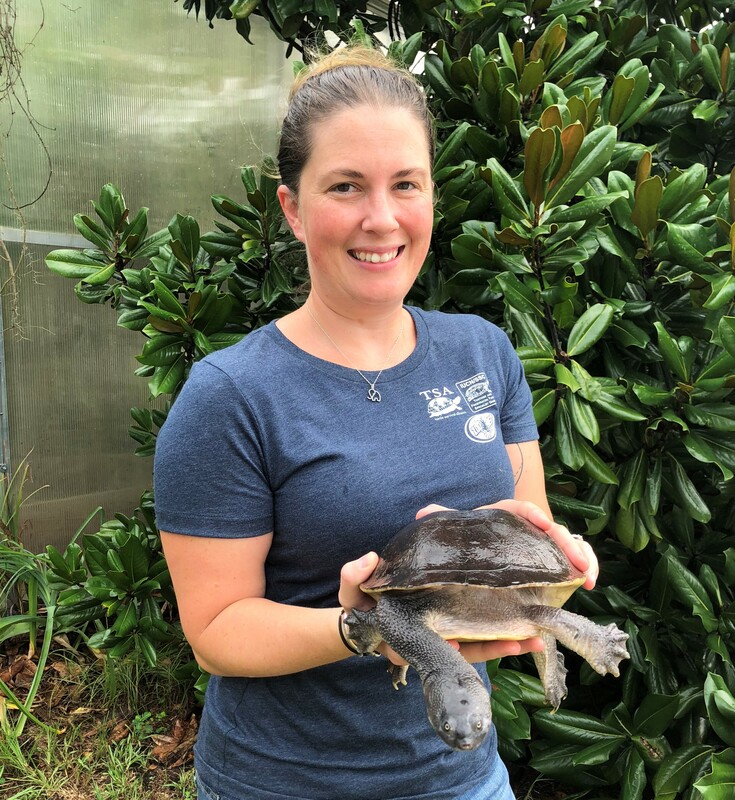 She now loves being able to use all her talents to benefit the turtles and tortoises at the TSC as the full-time Veterinary Care Manager and Operations Specialist. 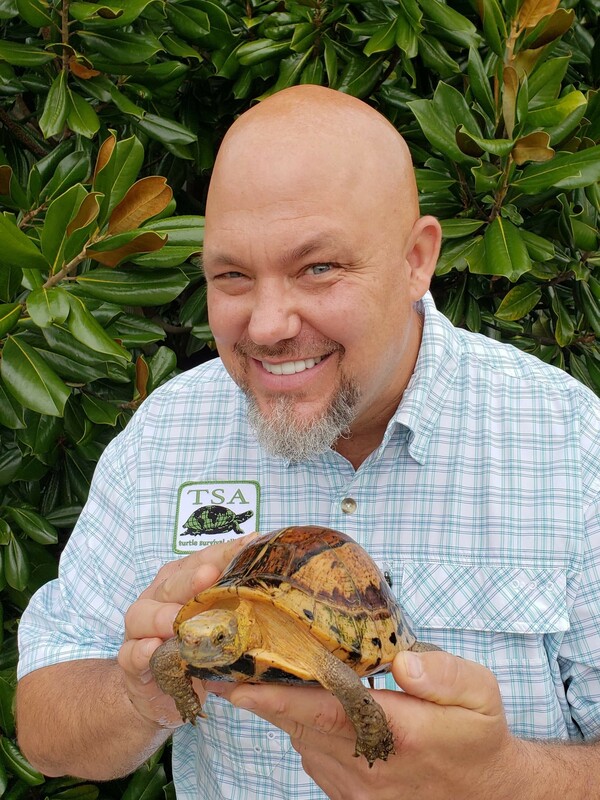 In 2010 Cris Hagen became the TSA's first Director of Animal Management and is responsible for the strategic development and management oversight of captive turtle assurance colonies throughout the U.S.A. to support the conservation mission of the TSA. Cris has been an active member of the TSA since its inception. 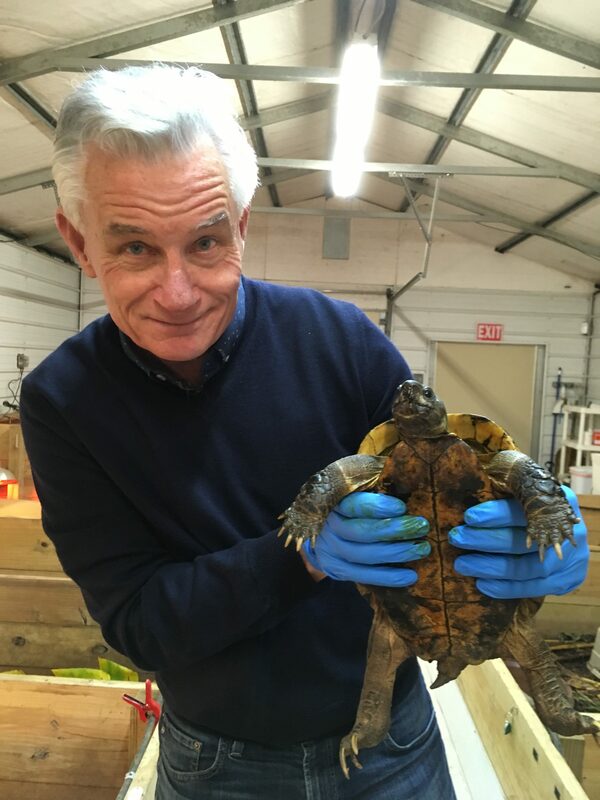 He was instrumental in the formation of the TSA's Turtle Survival Center (TSC) in South Carolina in 2013 and assembled one of the rarest collections of endangered turtle assurance colonies in the world. A true turtle connoisseur, Cris has been studying turtles of the world since he was 4 years old and has an extensive background in herpetology spanning over 35 years that includes a mixture of herpetoculture, animal collections management, biological sciences, taxonomy, field and lab research, teaching and environmental education. Cris was formerly employed (2002-2013) as a genetics and herpetology research technician at the University of Georgia's Savannah River Ecology Laboratory (SREL). While at SREL he maintained dozens of turtle species and over 1000 individuals in assurance colonies. His personal and professional interests have taken him to over 25 countries on 5 continents to study natural history and he has co-authored 5 taxonomic descriptions of turtles. 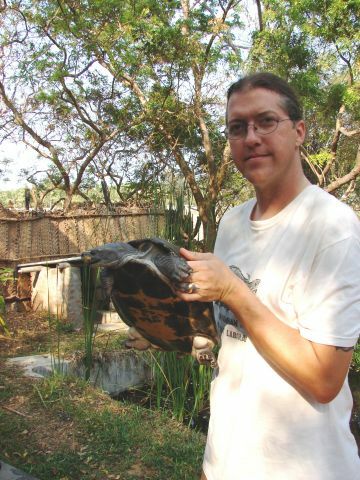 His life-long fascination with the Malay Archipelago has lead him to make several exploration trips to the region since 1998, resulting in natural history and conservation notes on the Sulawesi Forest Turtle (Leucocephalon yuwonoi) and Rote Island Snake-necked Turtle (Chelodina mccordi). Nathan came to the TSC in 2014 from the Fort Worth Zoo where he had been a terrestrial ectotherm keeper for four years in the Museum of Living Art (MOLA). His passion for chelonians started as a child growing up on a family farm where he was immersed in wildlife and was especially fascinated by herpetofauna. Nathan has kept chelonians in his private collection for more than two decades. While at the Fort Worth Zoo, he focused on breeding critically endangered species including Pyxis planicauda, Pyxis arachnoides, and Cuora pani. 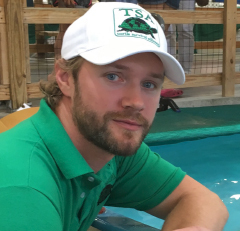 Prior to his position in MOLA, Nathan obtained a bachelor's and master's degree in Wildlife from the University of Tennessee at Knoxville. Nathan also completed several herpetofauna-focused internships, including a research internship at the Knoxville Zoo where he focused on chelonians. Over the course of his career he has gained a variety of skills including exhibit design, electrical, plumbing, carpentry, and masonry that will prove essential for his role as the Facilities Manager and Lead Keeper at the Turtle Survival Center. Clinton Doak, has been interested in reptiles and amphibians for the majority of his life. Growing up in rural Michigan, his passion for herpetofauna started at an early age where he could be found in swamps and ponds looking for turtles. After receiving a Bachelor's of Science degree in Zoology at Northern Michigan University, he relocated to Arkansas to begin a career in zookeeping. Initially a keeper in the Education Department at the Little Rock Zoo, Clinton's primary interest in herpetology drove him towards a more reptile-focused career. Clinton's work as a professional herpetologist began with a swing keeper position in the Reptile Department at the Little Rock Zoo, which would soon graduate to a full-time position in the Fort Worth Zoo's world-class herpetarium, The Museum of Living Art (MOLA). 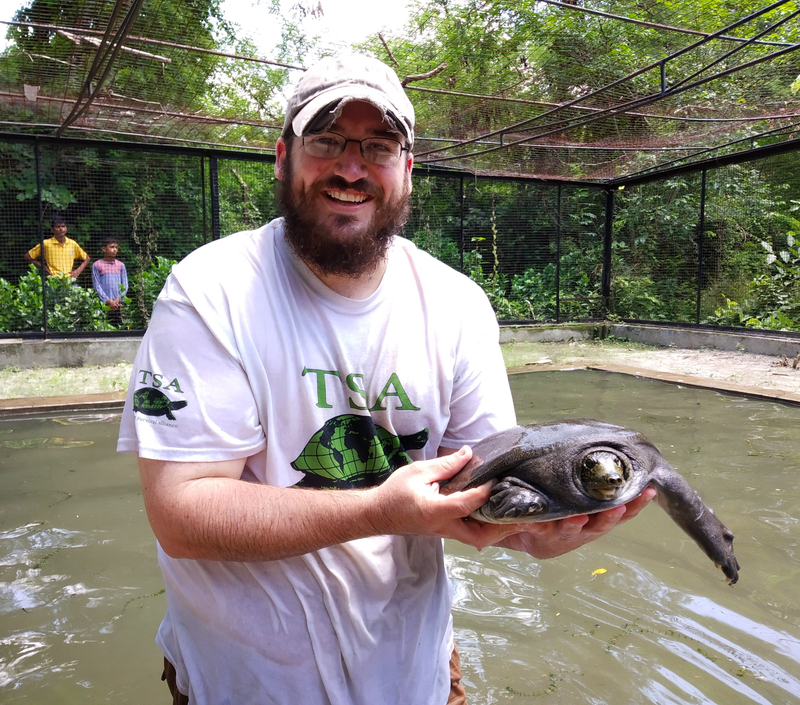 While working in MOLA, he worked with some of the most endangered reptiles in the world, including a variety of Asian species such as Indian Gharial, Painted Terrapin, Pan's Box turtle, Southern River Terrapin, and Narrow-headed Softshell Turtle. Another Upstate New York native, John joined the TSA in March 2018 as our newest Chelonian Keeper. Beginning with turtles found in ponds near his house at the age of 5, John’s held a lifelong fascination with chelonians. This fascination led to honing his skills in turtle husbandry, of which he has dedicated the last 43 years of his life. Prior to his employment by the TSA however, chelonian keeping and their conservation was a hobby. After attending Florida State University, John moved to Southern California where he entered the professional construction sector. The trade skills acquired in this sector significantly add to our ability to expand the Turtle Survival Center’s infrastructure and animal care apparatuses and mechanisms. While John has a strong interest in all genera of chelonians, the Asian box turtles of the genus Cuora are his favorite, with a particular interest in the Southern Vietnam Box Turtle (Cuora picturata).